The immersive audio tech is coming to ScreenX panoramic theatres. The premium immersive audio sound bar is set to launch this spring. The new chips will include support for DTS:X decoding. 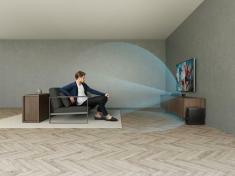 The company has detailed more additions to its home theater lineup. Three new immersive audio sound bar models have been revealed.